"[A]n eerie and enchanting story." "[Amelia’s] dilemmas will resonate with readers, while the house’s Narnia-like appeal will capture their imaginations." "[An] engaging, well-written fantasy. A solid middle grade fantasy with an intriguing setting and a relatable protagonist." 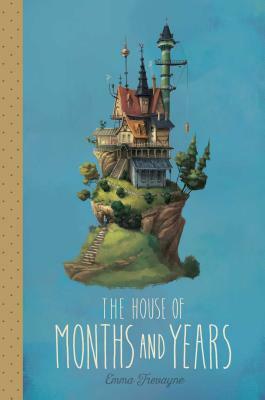 "A just-scary-enough adventure that might send readers to investigate more about real-life "calendar houses" like Amelia's new one." "Amelia's loneliness and feeling of unease are striking, thanks to Trevayne's atmospheric prose. . . .Readers will agonize with Amelia as she weighs the cost of immortality."